Alex Younger also warned Russia and other rogue states not to underestimate the UK’s capabilities. 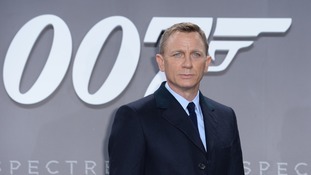 A TV advert seeks to cast off the macho James Bond image of the Secret Intelligence Service. In a rare public appearance, MI6 chief Alex Younger said new technology and the "capacity for ideas to travel" are drivers of terrorism. Leaving the EU could make Britain more vulnerable to terrorism attacks, according to two former senior British intelligence chiefs. Sir Richard Dearlove has contradicted comments from Home Secretary Theresa May that being a member of the EU helps "enhance" security. Britain is engaged in a "technology arms race" with terrorists determined to cause the country harm, the head of MI6 has warned. The UK did request that parts of the Senate report into the CIA be redacted. Elements which referred to British intelligence agencies were deleted, Downing Street has confirmed the Guardian reports. Number 10 had previously said that they only deleted items were due to national security concerns. The U-turn will fuel speculation over how much the part US allies played in some aspects has been sanitised. MI6 chief Sir John Sawers will stand down after five years in the post, the Foreign Office has confirmed. Sir John is set to leave the Secret Intelligence Service in November, a spokesman said. Prior to his appointment in 2009, he served as a career diplomat rising to become Britain's ambassador to the United Nations. Previously Sir John spent three years as foreign policy adviser to the then-prime minister Tony Blair. Spies are to be given a "licence to speed" for the first time, under changes to motoring laws. Officers in MI5 and MI6 currently have to abide by the rules of the road even when national security is under threat. But transport minister Robert Goodwill is to hand them the same exemptions as police, fire and ambulance drivers. They will be able to break the speed limit once they have completed a training course in high-speed driving. Vehicles used to carry organs for transplant, bomb disposal units, and mountain rescue teams are also set to be added to the list. Police insist they have not had the wool pulled over their eyes by intelligence services over the death of codebreaker Gareth Williams.